For the second year in a row, my fiance is growing a moustache as a part of the Movember movement. Movember occurs over the month of November, and men across the world grow moustaches and raise both funds and awareness for prostate cancer. Both "Mo Bros" and "Mo Sistas" get involved for this great cause. If you would like more information about Movember, here is a link to their 'about' page. Please check it out! 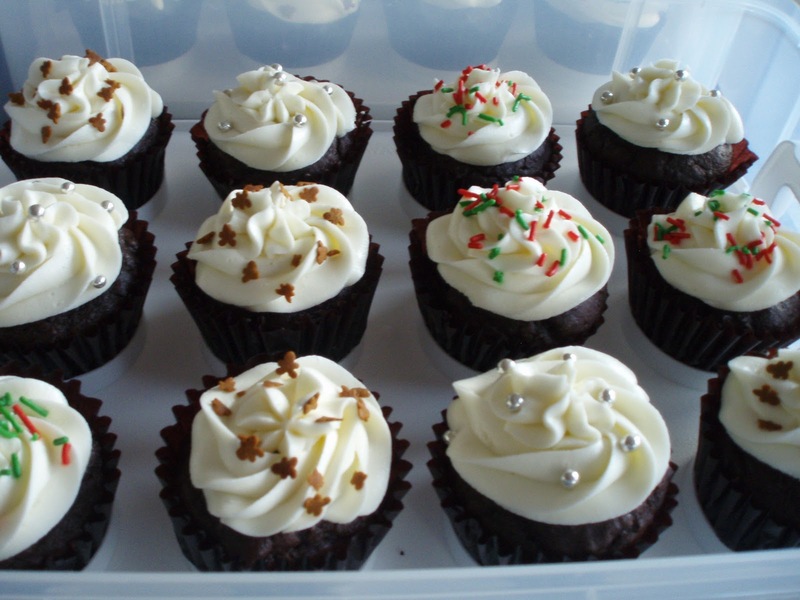 In order to help him raise funds, I baked some cupcakes to send to his work so that people could make a donation and receive a cupcake as thanks! 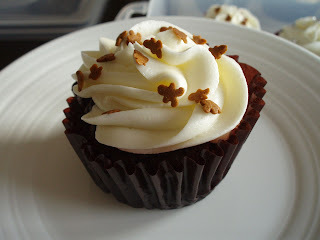 My fiance picked Devil's Food Cupcakes (his favourite) and requested a caramel icing. Since I didn't have a recipe on hand for caramel icing, I decided to jump in and give it a shot. And you know what? It turned out delicious! I also topped the cupcakes with skor bits, awesome. 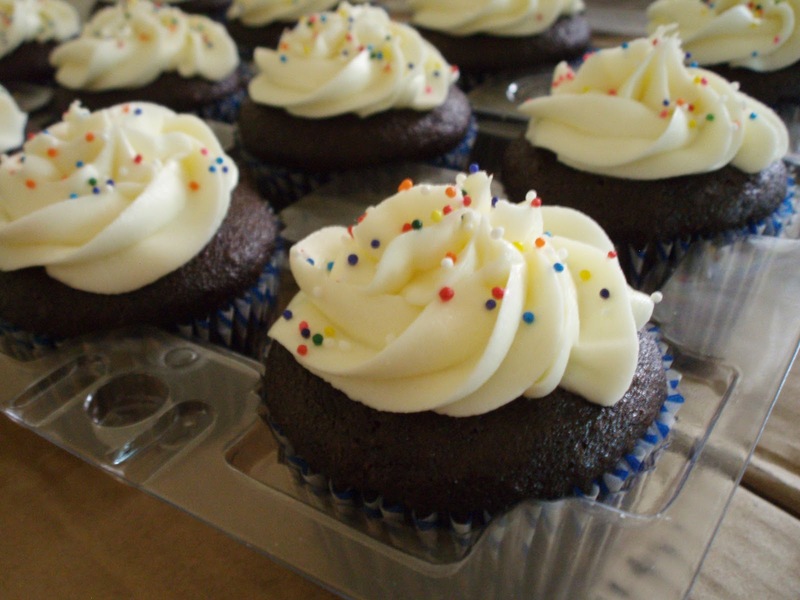 This recipe is enough to frost 36 cupcakes, so you may want to cut it down if you are making a standard batch of 12 or 24 cupcakes. This was my second time making biscotti, and I got lucky. 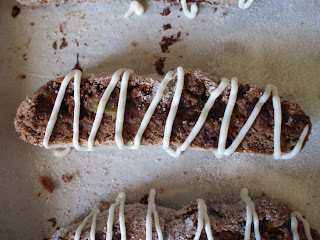 These turned out just as tasty as my Chocolate Pistachio Biscotti! 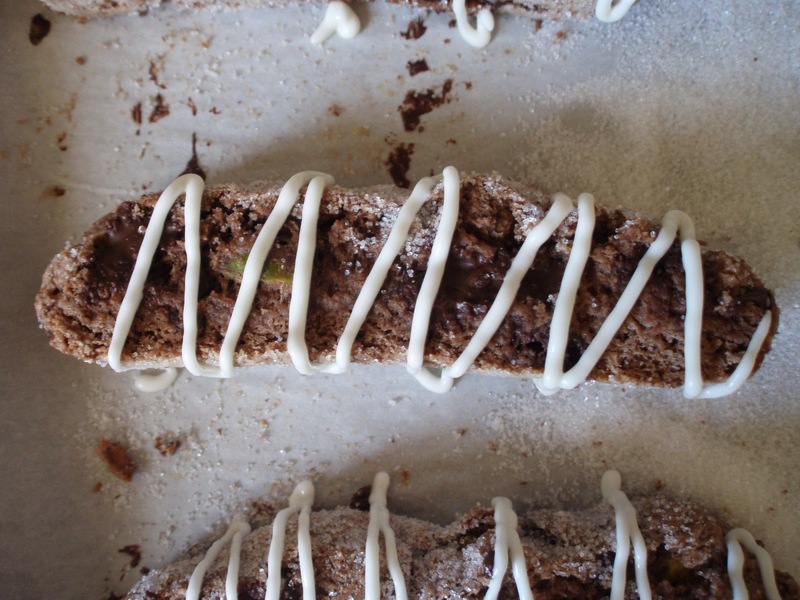 These are much larger than the chocolate pistachio cookies, and are perfect with a glass of hot chocolate on these chilly winter days. The logs rose into each other while baking on my large cookie sheet, so I would recommend putting each log on a separate baking sheet in order to avoid this. Also, next time I make these I think that I might try putting even more lemon zest in the biscotti. This is simply a personal preference, likely due to my love of anything citrus! 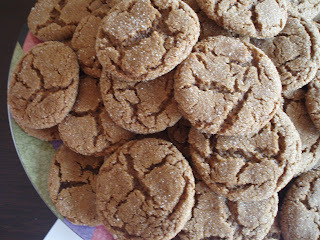 I originally found this recipe on marthastewart.com, and it made about 3 and a half dozen cookies. Enjoy with your favourite warm beverage! 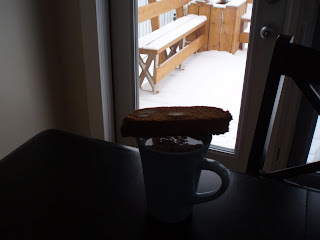 Brrr, I guess the snow is here to stay! Haystacks are a type of cookie that my family has been making as long as I can possibly remember. 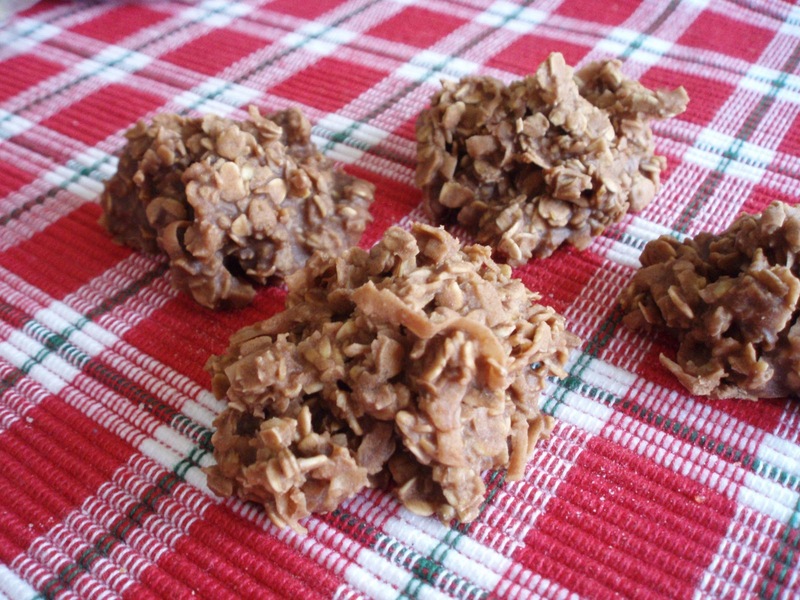 They are a delicious drop cookie that is really quick to make, and makes a large batch (which is necessary when these are around!). These are very sweet, but so tasty! 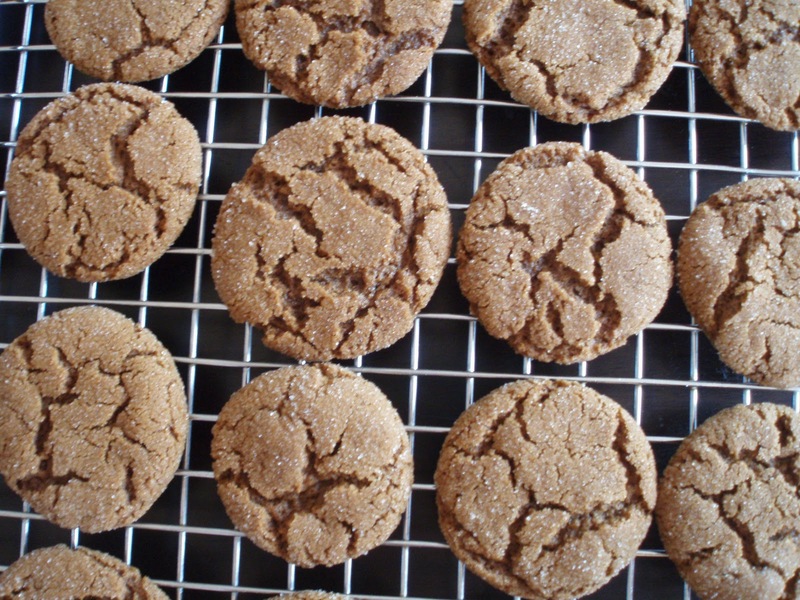 This recipe makes about 3 1/2 to 4 dozen cookies. The stack of cookies that were sent to the bake sale! Another classic cookie for the Christmas season is the delicious Shortbread Cookie! 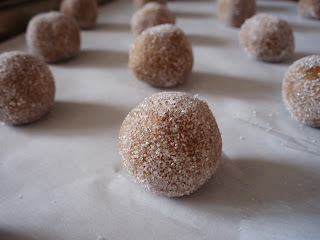 These are super easy to make; they actually only have 4 ingredients. 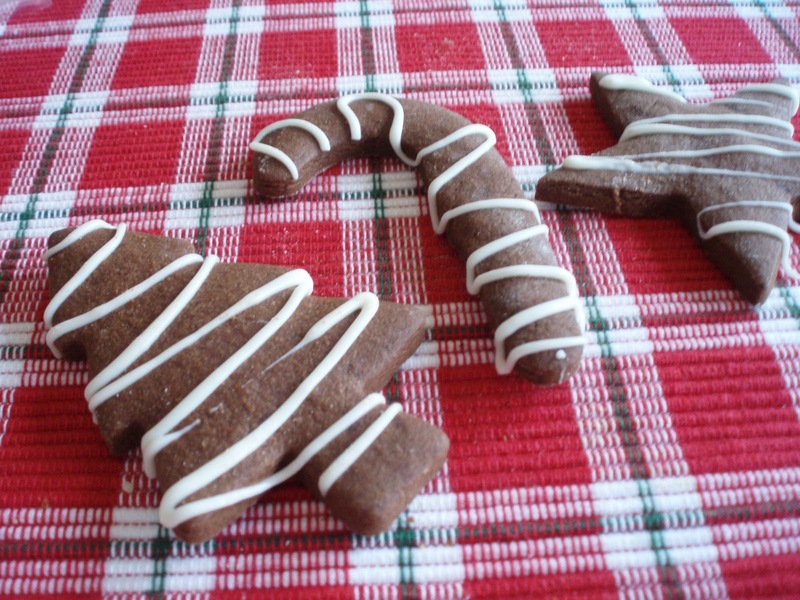 I love these cookies! 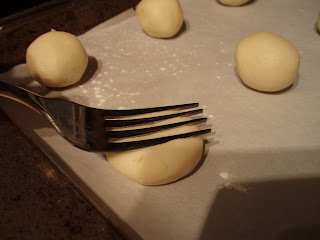 You can either make them as I have by rolling them into a ball and then pressing them down with a fork, or you can roll out the dough and cut fun shapes with cookie cutters. This recipe has been around as long as I can remember, it makes the perfect Shortbread Cookies. I doubled this recipe and made about 4 1/2 dozen cookies, so this original recipe will make about 2 dozen cookies. I also made these tasty chocolate cookies for the bake sale fundraiser this last week. They are a rich, chocolatey cookie, and they aren't very sweet at all. 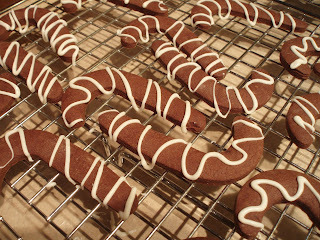 I drizzled them with white chocolate for a quick and easy decoration, and to add a touch of sweetness to them as well. 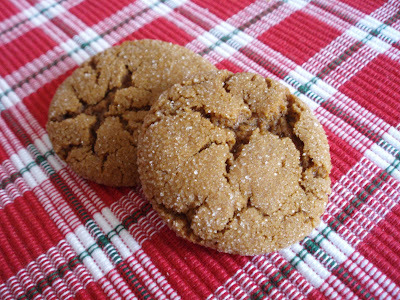 I really enjoyed these cookies, the fact that they weren't incredible sweet was such a nice change for a cookie! 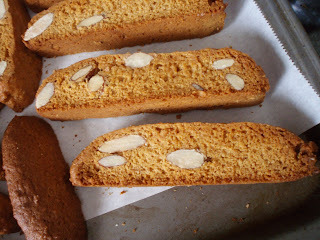 That may be why I am also enjoying biscotti so much lately. 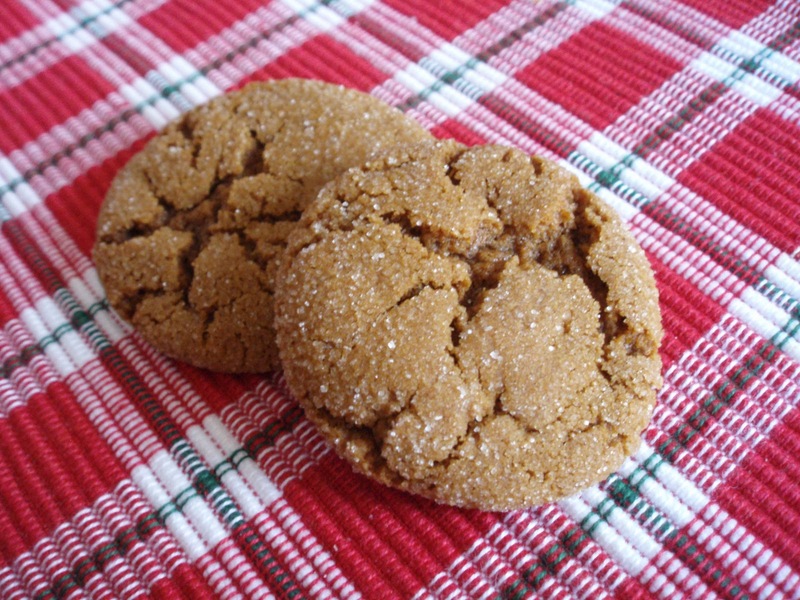 This recipe is from Martha Stewart's Cookies , and I made 4 dozen cookies out of one batch. 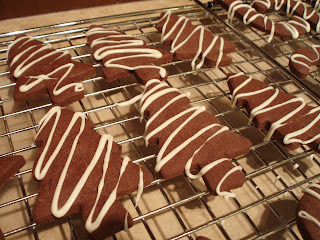 Let them cool, and then decorate with whatever you like! 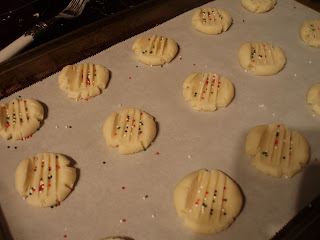 Note: If you would like to decorate them as I have, place some white chocolate candy melts (or white chocolate chips) in a sandwich bag. Microwave at 30 second intervals, massaging the bag between each interval. When the chocolate is completely melted, snip off a corner of the bag and drizzle away! Is anyone else having trouble with blogger? I cannot seem to control my font size today! This past Sunday I spent the whole day baking all different kinds of cookies in preparation for the silent auction and bake sale that we were having at my work. It is an awesome fundraiser that they have had every November for about 7 years now. All funds that are raised go straight to the Cross Cancer Institute so that families currently undergoing treatment can buy food and gifts for Christmas! 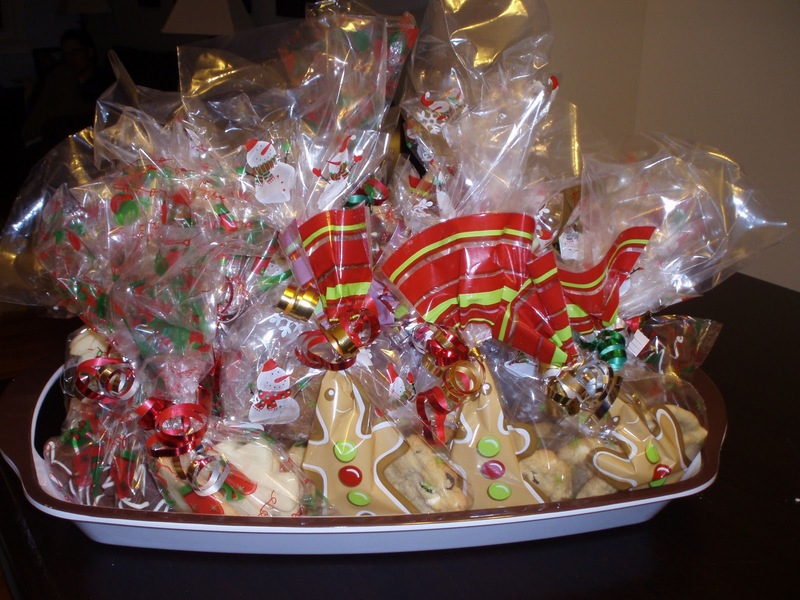 This year I donated cookies for the bake sale, and I made two tins of cookies to be added to the silent auction. The first type of cookies that I made were Gingersnap Cookies. 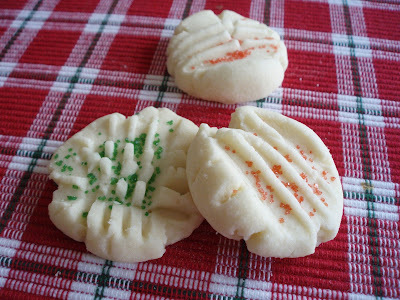 To me, these cookies mean it is the holiday season! 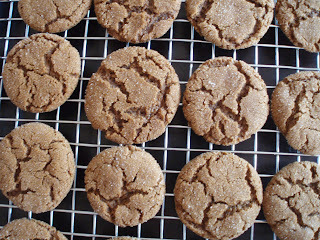 They make the whole house smell delicious, and are really amazing cookies. I hope you love them as much as I do! 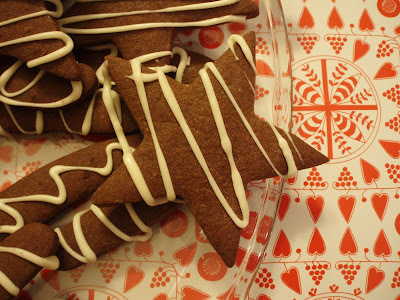 I made about 4 dozen cookies from this recipe. Let cool, and enjoy with a glass of milk or tea! Note: These cookies freeze really well when wrapped in plastic wrap and then placed in a freezer bag. This past weekend was a busy one! In addition to the cupcake pick-up and making a ton of cookies for our silent auction/bake sale fundraiser at work, I also had an order for 3 dozen mini lemon cupcakes for a baby shower. 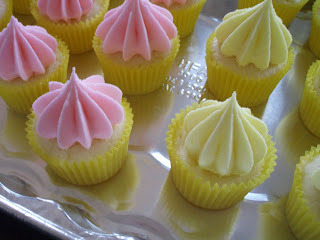 This recipe for lemon cupcakes is by far my favourite lemon cupcake recipe! It is so moist and flavourful, I would eat them for every meal if I could get away with it. 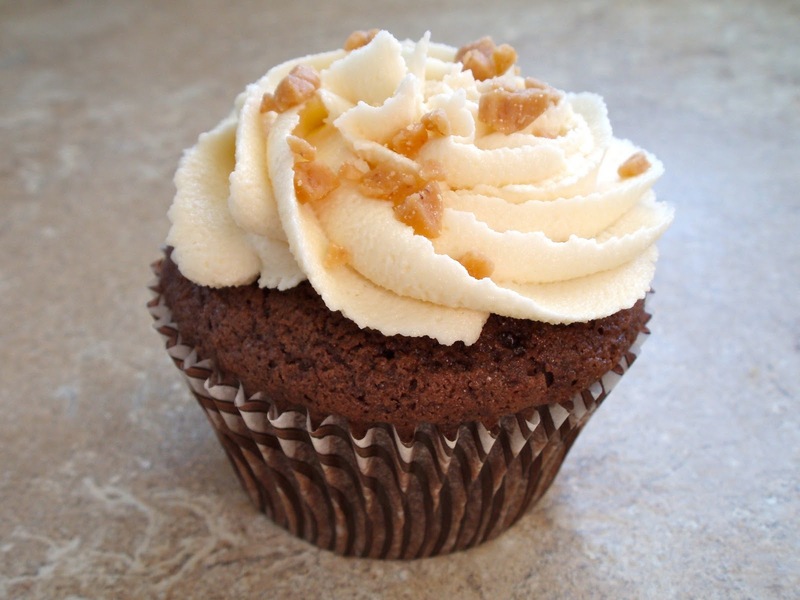 Also, these cupcakes are amazing naked, they just have so much flavour and such an amazing texture all on their own! The colour theme for the baby shower was pink and yellow, so I baked half in yellow cupcake liners, and half in pink. 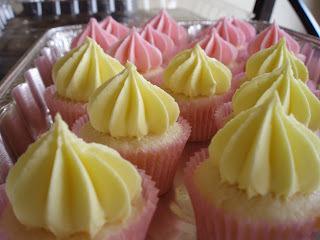 I then tinted some vanilla buttercream yellow and pink, and finished off the mini's. 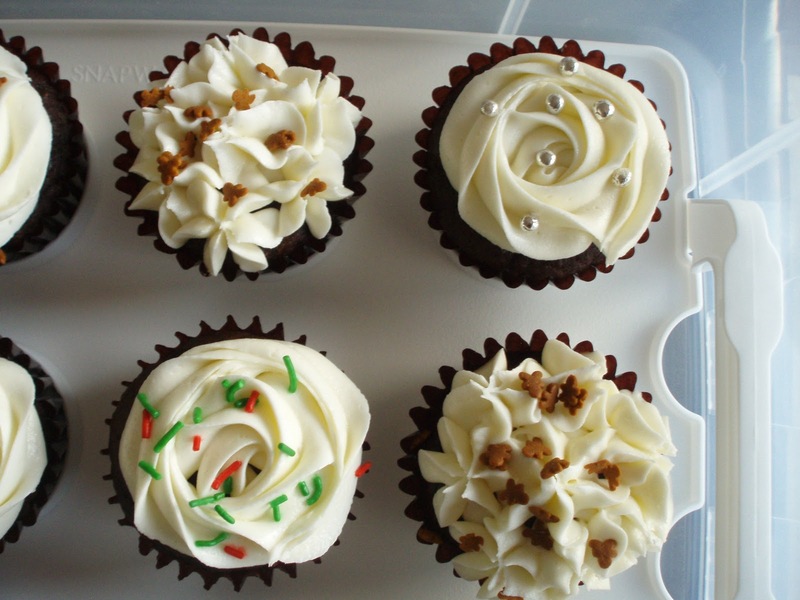 They were kind enough to send me some pictures of the cupcakes on the treat table, how nice are they? And what an amazing dessert table! 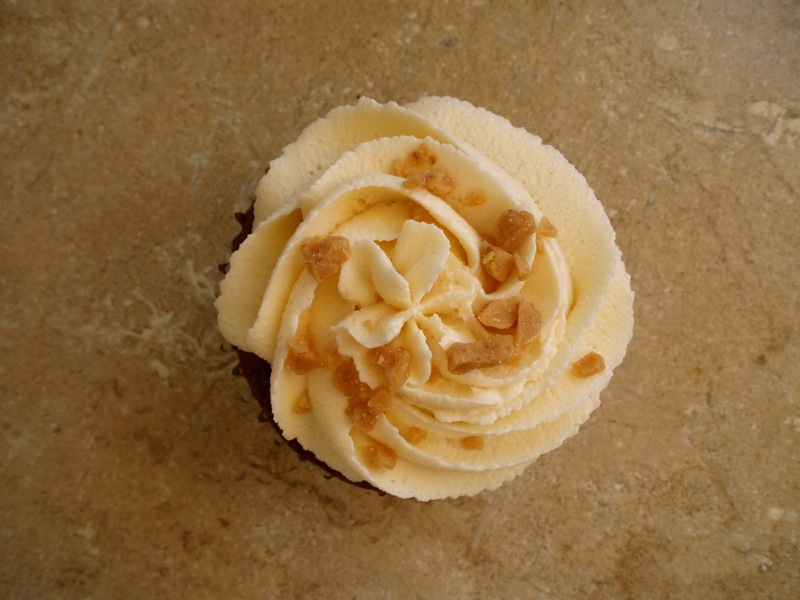 This recipe is from Martha Stewart's Cupcakes , and is delicious! 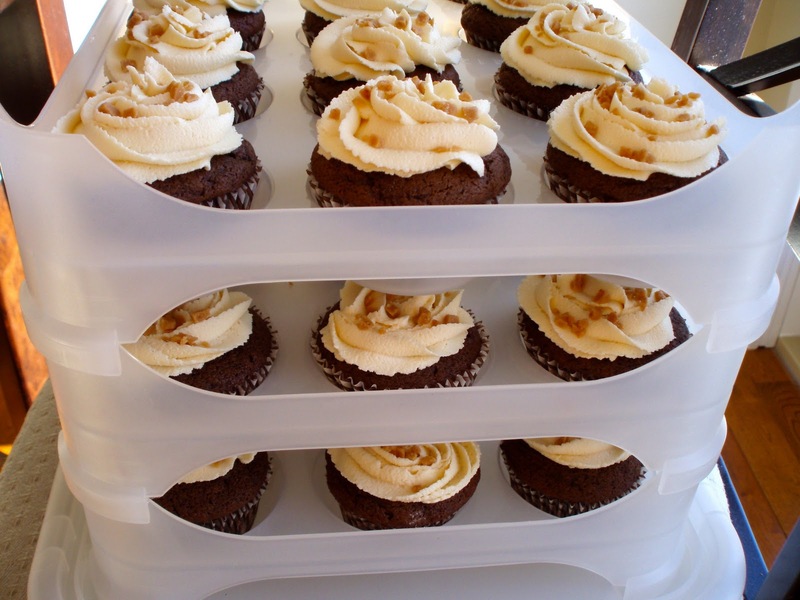 This recipe makes about 20 regular cupcakes. Note: These cupcakes also freeze really well if you freeze them without any frosting on them. 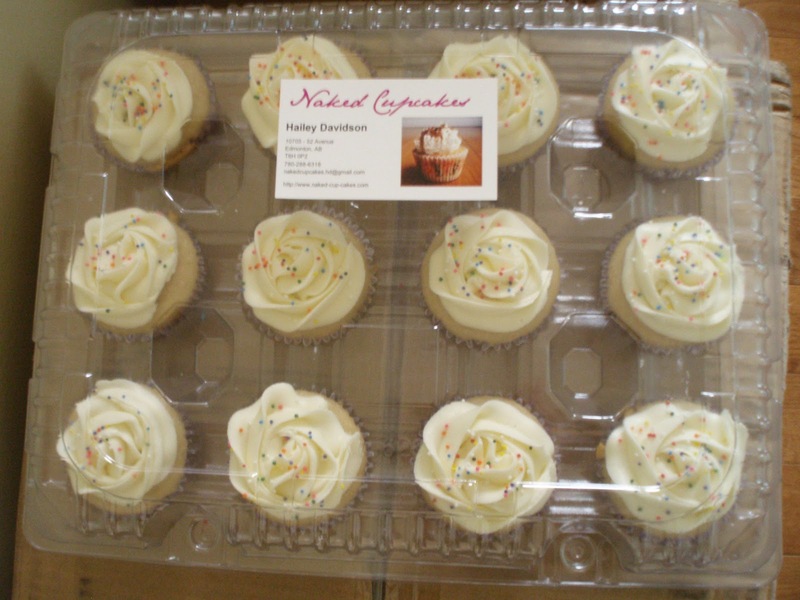 A couple of weeks ago I gave one of my girlfriends two gift certificates for cupcakes to put in her silent auction for her skating team. Since cupcakes are so popular, we though they would be a fun item for people to bid on. I actually have no idea how much each gift certificate went for, but people did bid on them! How exciting is that? 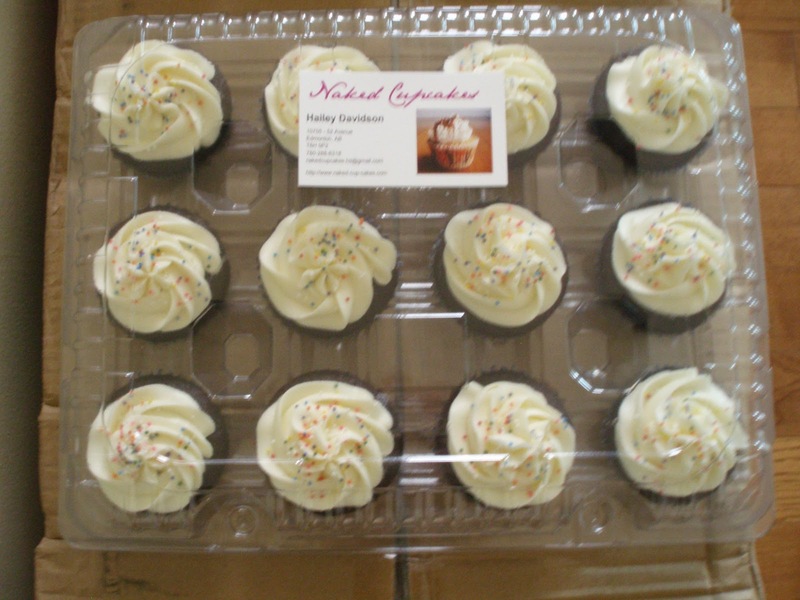 This past weekend someone called in to redeem their gift certificate, so I made one dozen chocolate cupcakes and one dozen vanilla cupcakes for them. Then I topped everything off with some vanilla buttercream, and rainbow nonpareils! No matter how many awesome sprinkles I come across, the rainbow nonpareils are always my favourite. I hope they enjoyed their cupcakes! I had decided to make Peppermint Icing to top my chocolate cupcakes after buying some neat Christmas sprinkles. 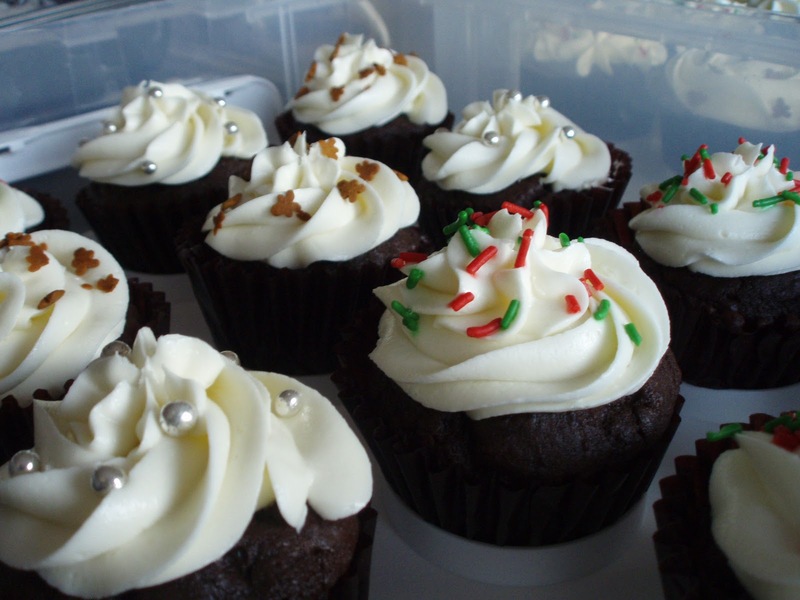 The icing turned out really well and tasted great with the cupcakes, but I think that the next time I make this icing for a Christmas cupcake, I will mix in some crushed candy canes for some nice colour and texture! 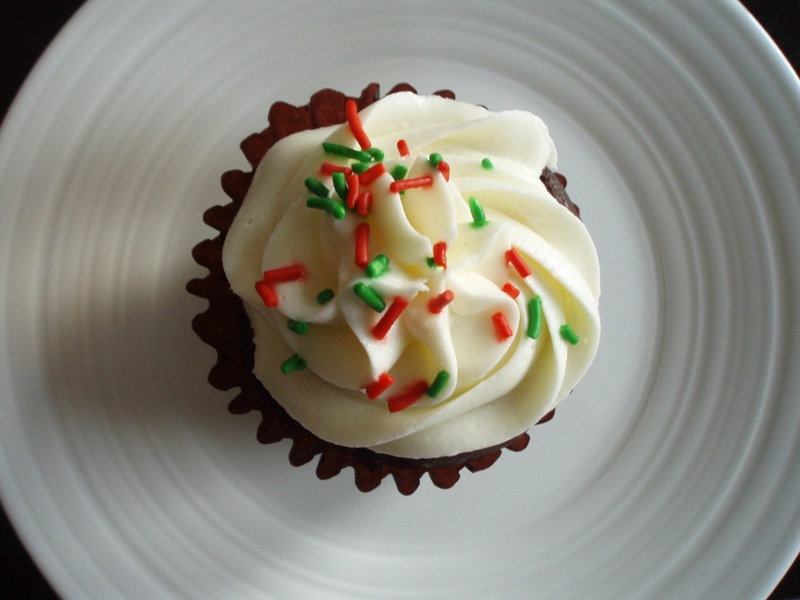 and classic green & red jimmies! 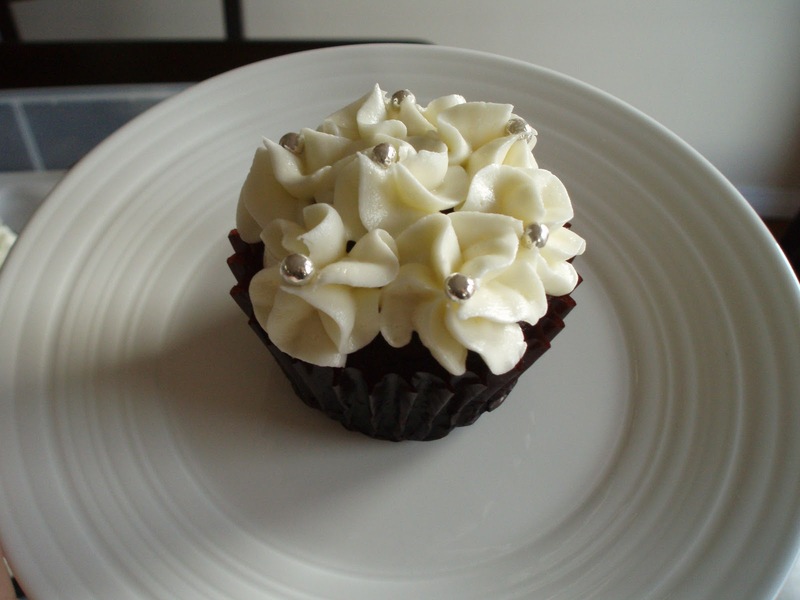 I used my basic vanilla buttercream recipe, and substituted most of the vanilla for peppermint extract. 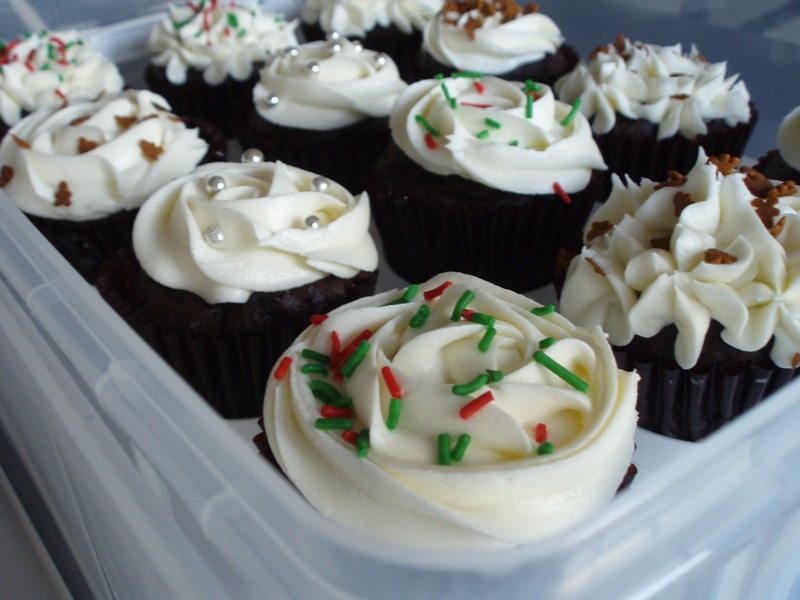 This recipe was enough to decorate 24 regular cupcakes. Since Halloween and Thanksgiving are now finished for the year, it is pretty clear as you walk around that we are well into the Christmas season! We may not have snow (yet, but maybe this weekend! ), but everywhere you look the Christmas decorations and displays are already going up. 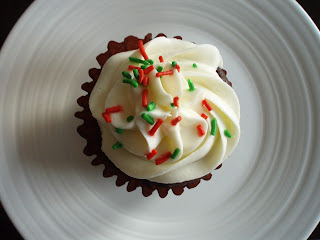 I found some awesome Christmas sprinkles when I was shopping last weekend, so I decided to try a new chocolate cupcake recipe from www.theavidappetite.com and pair it with some candy-cane inspired peppermint icing. I believe that this cupcake recipe was originally adapted from an Ina Garten recipe. These cupcakes are a bit richer than the other chocolate cupcake recipes I have made, but I really enjoyed them. 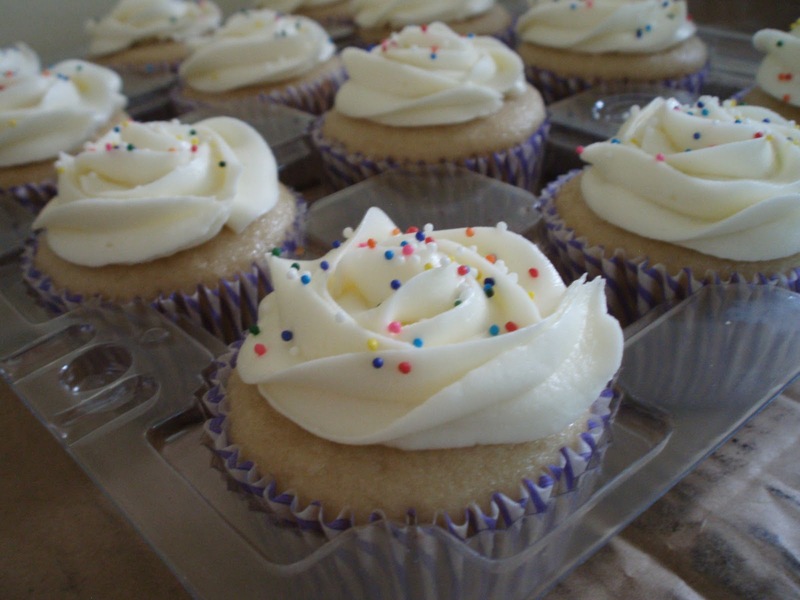 The batter was a really neat texture (very light and fluffy) and as a result it produced some very fluffy and delicious cupcakes. There is a little bit more work involved in these cupcakes than is required for most chocolate cupcake recipes (like my vegan chocolate cupcakes, chocolate mint cupcakes, or my devil's food cupcakes), but if you have the time, definitely give these a shot. 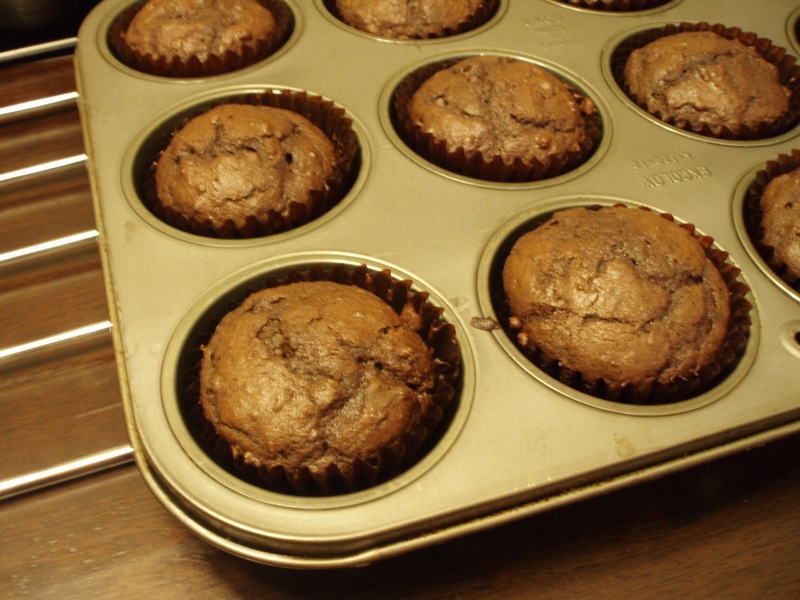 This recipe makes 24 regular cupcakes. 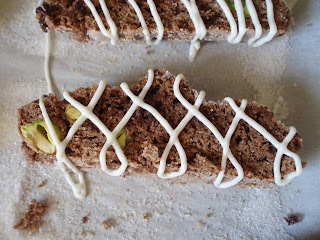 Do you ever have that moment where you come across a recipe somewhere, and know that you will make it that same day, simply because you have to make it as soon as humanly possible? Regardless of whether you have the ingredients on hand, or of the fact that your refrigerator is currently bursting with delicious leftovers from the last week? 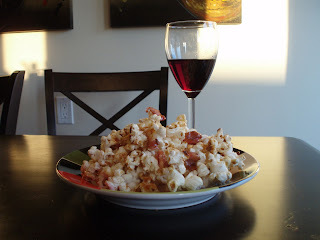 Stumbling upon this recipe on joythebaker.com produced one of those moments for me. I mean, bacon? 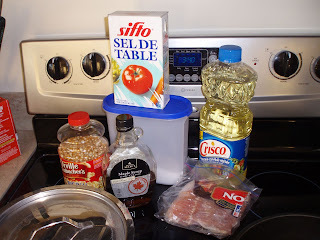 maple? 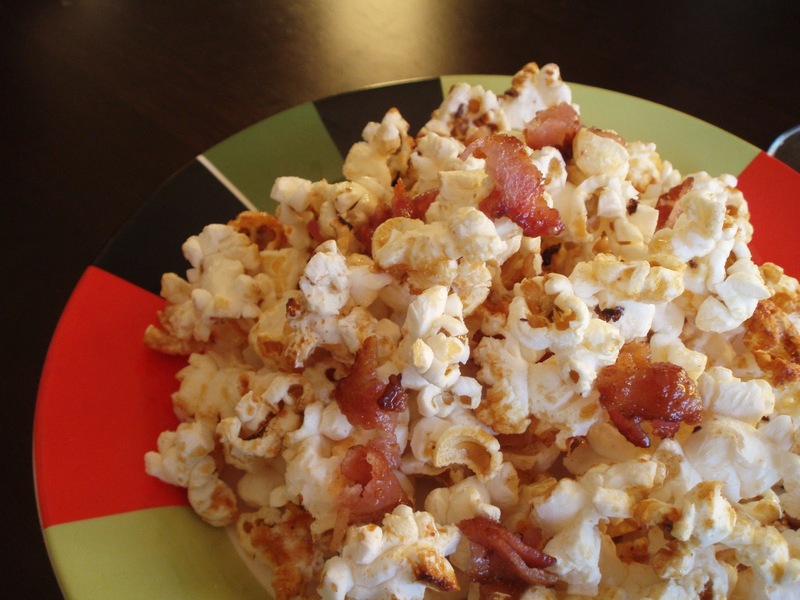 popcorn?!?! How could I not make this recipe is the real question here. So I did, and it was worth it. I am already trying to find an excuse to make it again. Next time you are having a movie night, or decide to exercise your right as an adult to have popcorn and wine for supper, make this! This recipe makes a large bowl of kettle corn, so you might want to half it if you are just making it for one or two people. 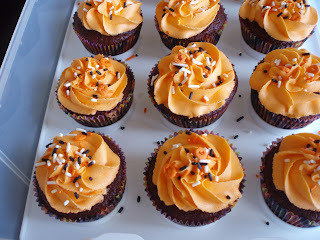 I realize that we are well into November by now, but I really wanted to share some other cupcakes I had made for my sister's Halloween party. These are red velvet cupcakes with a vanilla buttercream icing, and awesome Halloween sprinkles. 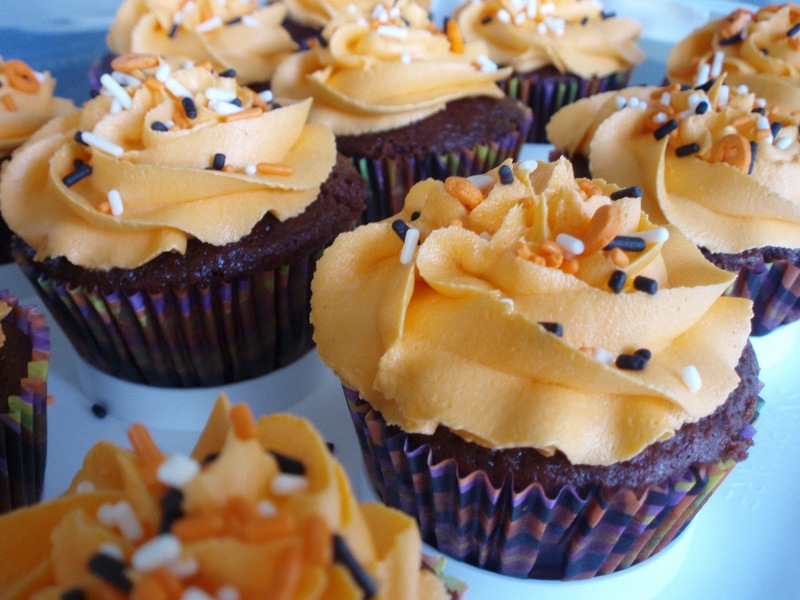 Swirls and sprinkles, they just make you smile! 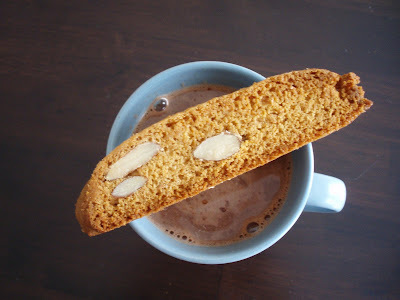 Ever since I tried biscotti for the first time last year (yes, it took me that long!) I have been meaning to make it myself at home. 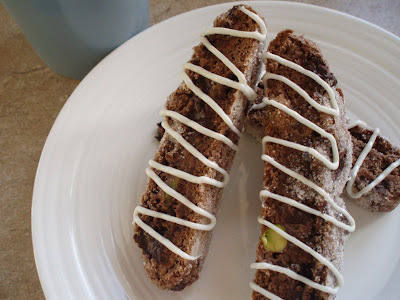 I loved not only the taste, but how perfect they are when paired with a nice hot drink on a cold night. When I went to the grocery store to pick up the things I needed, I scoured the aisles for shelled unsalted pistachios, but no luck. I could have just picked another type of nut, or made a different kid of biscotti, but I already had the visions of delicious chocolate pistachio biscotti floating around in my head. I was committed! So instead I bought shelled unsalted pistachios, and shelled each and every pistachio with love, and raw fingers. But you know what? Totally worth every broken nail. 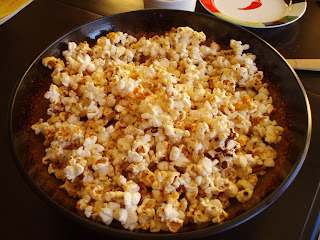 These are absolutely delicious, and make a fantastic snack with a hot beverage. 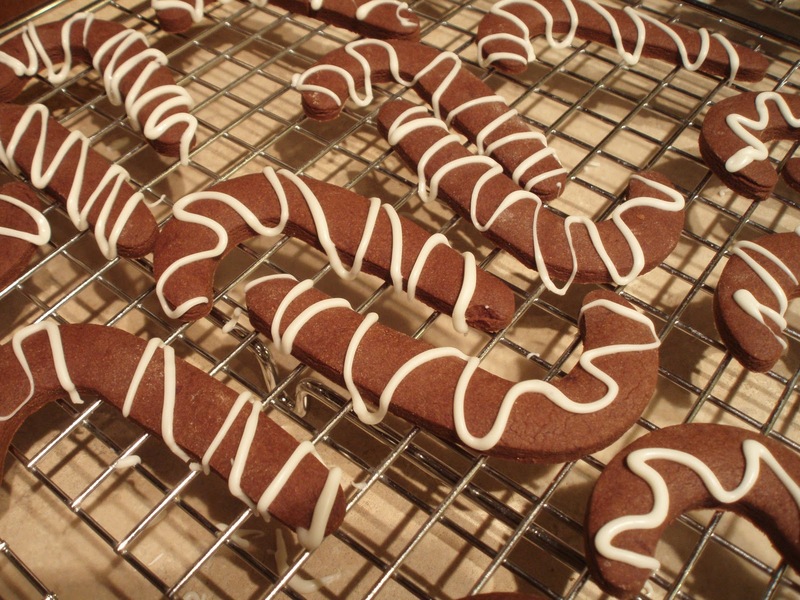 I drizzled mine with white chocolate which added a nice touch of extra sweetness, but these are also fantastic without it. The original recipe is from marthastewart.com, and made about 32 cookies. Drizzle with white chocolate if you wish, and Enjoy! 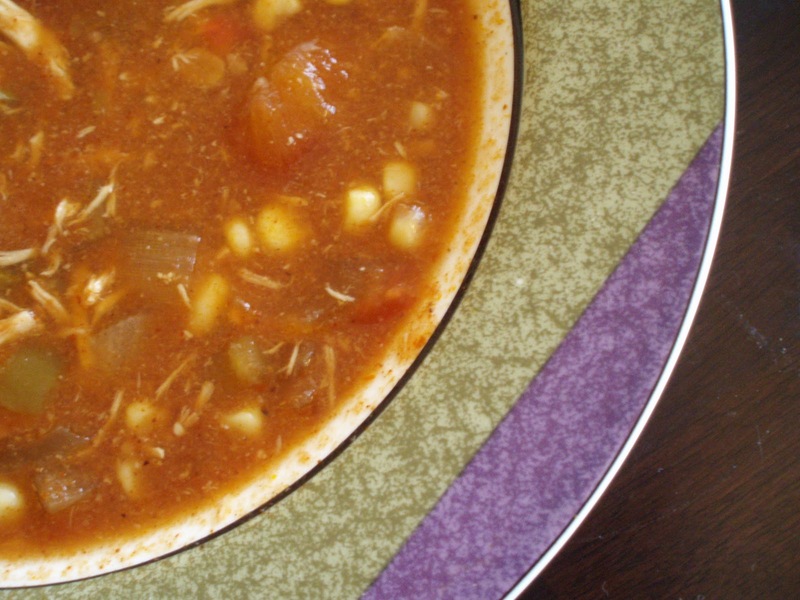 Here is another meal that is perfect for during the week, just throw everything in a bowl the night before, store in the refrigerator overnight, then pour everything into a crockpot and turn it on when you leave for work in the morning! 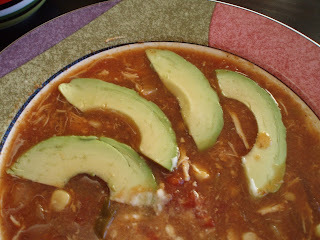 Ever since I had Tortilla Soup last time I was in Mexico, I have been looking for a recipe to try and make it at home. I found this recipe on allrecipes.com and it had an incredible amount of amazing reviews! I was looking for a spicy soup, so I added extra enchilada sauce and a small can of jalapeno peppers. If spicy isn't your thing, just leave out the jalapeno peppers, and use less enchilada sauce (but increase the other spices for flavour). This soup is delicious by itself, but it is even better when finished with some awesome toppings. We added fresh avocado, sour cream, cheese, and nacho chip pieces! I also served this with my Cheddar Jalapeno Biscuits, I think that I make them every opportunity that I can. 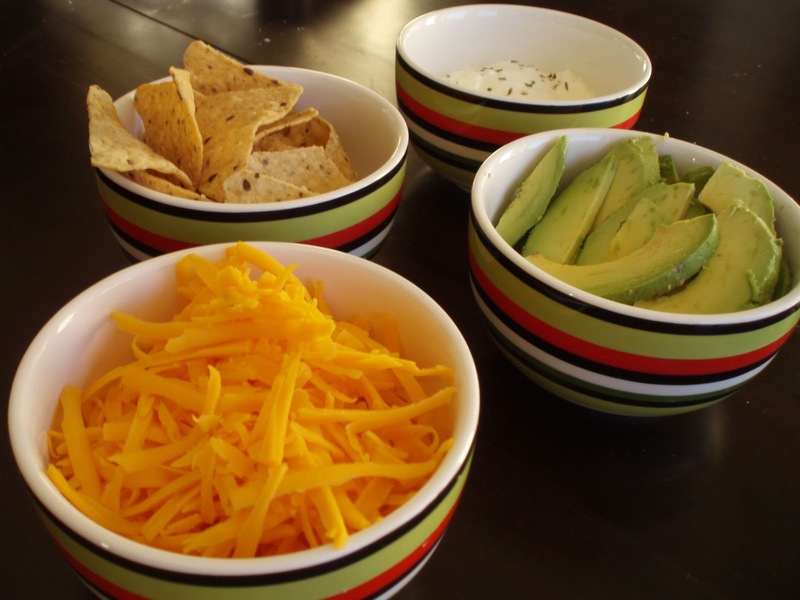 Garnish with nacho chips, shredded cheese, sour cream, avocado slices, cilantro, or whatever else you love! or, follow me on twitter! or, 'like' me on Facebook! (c) Hailey Elliot @ Naked Cupcakes 2010 - 2011. Theme images by TommyIX. Powered by Blogger.